Modern apartment in the centre of Altea almost on the beachDon - 2 to 4 persons, Albir, Costa Blanca, Calp(e), Benidorm, Alfaz del Pi. - Rent,a,House,Spain, holiday, bookings, Altea,La Vella,, Albir, Calp(e), Moraira, Javea, Benidorm, Alfaz del Pi, La Nucia, Alicante, Valencia. 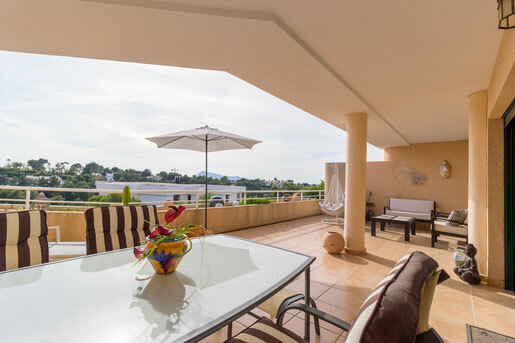 Direct on the golf cours with sea view (2 bedrooms). REF: 113. Beautiful modern apartment on the first line golf course. A tremendous view over Altea, the sea and off course the golf course. This apartment is not very large but it has everything and is lovely to live in. A large community pool and tennis court. You walk to the golf with his good restaurant. Sleeps 4 in 2 bedrooms with one bathroom. Satellite with flat screen plus all dutch channels and many more languages. Oktober till April 375 Euro per week excluding electricity(minimum 2 weeks). November till April 1 month 900 3-6 months 800 Euro excluding electricity.